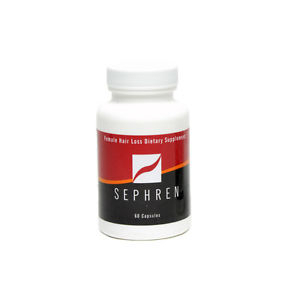 Sephren female hair loss dietary supplements. A one month supply of capsules for women with thinning hair. As a dietary supplement take two capsules daily. If you are under a physician's care or taking medication, consult your health care professional before using this product. If you are pregnant or breast feeding do not use without consulting a physician. Keep out of reach of children.